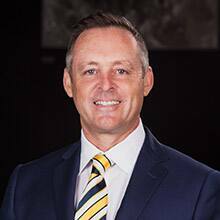 Russell was appointed as the director and chief executive of Hawaiian in 2000, a privately held Western Australia-based property company which owns and manages commercial, retail, hospitality and development portfolios. 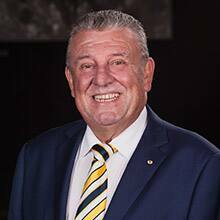 He was previously state president and national councillor of the Property Council of Australia, a member of the Murdoch University Senate Committee and deputy chair of Youth Focus. Russell is currently a director of Satterley Property Group (since 2009) and St Ives Group (since 2013). Russell also holds board positions at the Chamber of Commerce and Arts and the Murdoch University Foundation. 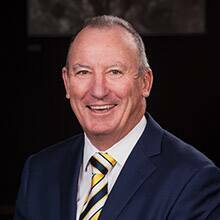 Russell joined the West Coast Eagles board of directors in November 2011 and in November 2015 was elevated to the position of deputy chairman, succeeding retired director James McMahon. Crosby Tiles managing director Peter Carter is involved in several other business ventures, primarily in the building sector. He has been chairman of Crosby Supply and Fix since 2005 and a director of JH Wilberforce since 2003, Steel Blue since 1995 (chairman from 1996 to 1999) and Real Estate Plus since 1999. He graduated from Curtin University with a bachelor of business in 1979. He is also a Trustee of WA Charity Direct. Peter played 12 games for Swan Districts, including the 1979 reserves premiership, before a knee injury ended his career at 21. He joined the West Coast Eagles board in November, 2011. After earning a bachelor of physical education and a diploma of teaching from the University of Western Australia, Trevor’s career focus turned to football administration. A former player, he was football manager at East Perth in 1981, before being elevated to general manager in 1982. In 1984, he became football manager at Subiaco before starting his long and fruitful association with the West Coast Eagles. He was appointed football manager in September 1989 and excelled in that role until 1999 when he was elevated to the role of chief executive, a position he still holds. He joined the board of directors in November, 2003. Starting his career as a journalist, Chris worked across several areas of newspaper management in Sydney before being appointed chief executive of Perth’s Community Newspaper Group in 1995. He was later appointed managing director of Channel 7 Perth for nine years before becoming chief executive of West Australian Newspapers in 2008. As CEO, Chris was responsible for all Seven West Media assets in Western Australia: The West Australian, West Regional Publications (23 mastheads), its online properties, WA Publishers, Redwave Media (nine regional radio licence areas) and Channel 7 Perth, before resigning as CEO of Seven West Media in 2017. He joined the West Coast Eagles board in November, 2013. 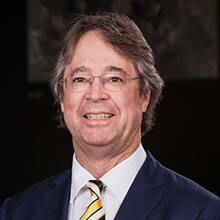 Paul has been a partner of Clayton Utz since July 1, 1985 and practises in the areas of commercial litigation, competition law, national competition policy, international and domestic arbitration and sports law. He is a former partner in charge of the Perth Office of Clayton Utz, and has conducted a wide range of complex litigation, including contractual disputes and cases relating to the Competition and Consumer Act, the Corporations Law, professional negligence, and intellectual property. He was named Competition Lawyer of the Year, Perth in 2013 by Best Lawyers Australia, and has been named by Best Lawyers as one of Australia's Best Lawyers in litigation, competition and alternative dispute resolution. 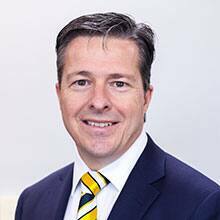 Paul has represented athletes before appeals tribunals and the Court of Arbitration for Sport, and West Coast Eagles players at the AFL Tribunal. He is a legal advisor to the Western Australian Football Commission and the West Australian Institute of Sport (WAIS), is a former director of WAIS and is a current director of the Wally Foreman Foundation Inc.
An outstanding Australian left-hand batsman, he was part of one of the most successful opening partnerships in cricket history with Queenslander Matthew Hayden. A pugnacious competitor he played 105 Test matches for his country and scored 7696 runs at an impressive average of 45.27. His highest score of 250 came on the biggest stage, against England in the 2002 Boxing Day Test at the MCG. Post his own playing career he has proven to be a coach who drives those same elite standards, initially as head coach at the WA Cricket Association. He was in charge of the Western Warriors in the four-day domestic competition and the Perth Scorchers in the Big Bash T20 League. 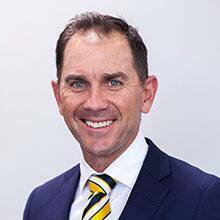 Appointed Australian cricket head coach in May 2018 and joined the West Coast Eagles board on July 1, 2017. Terry Bowen is Head of the Operations Group at BGH. Terry has over 25 years of senior management experience across a broad range of industries within some of Australia’s leading companies. Prior to joining BGH, Terry served from 2009 as Finance Director of Wesfarmers Limited. He also served as an Executive Director on the Board of Wesfarmers Limited and as a Director on the Board of each of the Group’s subsidiaries. Prior to serving as Finance Director of Wesfarmers, Terry worked as Finance Director of Coles and as Managing Director of Wesfarmers Industrial and Safety. 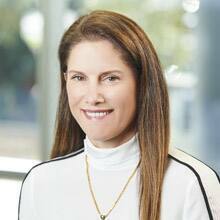 Prior to re-joining Wesfarmers in 2005, Terry served as Jetstar Airways’ inaugural Chief Financial Officer from 2003. Between 1996 and 2003, Terry held various senior management positions at Wesfarmers Landmark, including Chief Financial Officer. 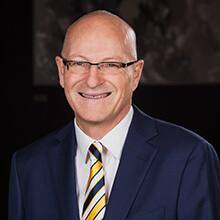 Terry received a Bachelor of Accountancy from the University of South Australia and is a Fellow of the Society of Certified Practising Accountants. He is a Non-Executive Director of BHP Billiton Limited and a Non-Executive Director of the West Coast Eagles. Zoe Yujnovich has extensive experience in the resource sector and has been Country Chair/Executive Vice President of Shell Australia Pty Ltd since February 2017. Zoe began her career in Australia in a number of frontline mining roles and then broadened her experience internationally, working in the USA, UK, Brazil and Canada. While at Rio Tinto, Zoe held a number of senior leadership positions, including Company President in Brazil and President and CEO of the Iron Ore Company of Canada in Montreal. Zoe joined Shell in 2014 leading Shell’s Oil Sands business in Canada. During that time she was a non-executive Director of the Potash Corporation of Saskatchewan. Zoe is Chairman of Australia’s national oil & gas industry association (APPEA), a board member of the University of WA Business School, Christ Church Grammar School and is a member of the Western Australian Division of the Australian Institute of Company Directors (AICD). Zoe holds an engineering degree from the University of Western Australia and an Executive MBA from the University of Utah. Zoe lives in Perth with her family.